It was reported earlier that the Armenian, who has mental disorders, was captured on the Armenia-Azerbaijan border on June 20. The representation of the International Committee of the Red Cross (ICRC) in Baku did not manage to get permission to visit Armenia citizen Zaven Karapetyan kept in Azerbaijan. According to the respective police statement, the personal data match those of Zaven Karapetyan who was born on November 16, 1974, and is registered at the nursing home of Vanadzor, Armenia. Karapetyan was born in Nor Kharberd village in the Ararat Province of Armenia. He grew up in the orphanage of Gavar town and spent time at an auxiliary school in capital city Yerevan. In 1994, Karapetyan moved to Vanadzor and lived in shacks. 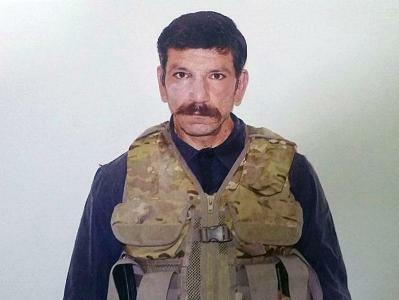 Due to not having a place to be registered at, he was registered at the nursing home in Vanadzor in 2004, and he was issued a passport in the same year. Zaven Karapetyan did not serve in the Armed Forces of Armenia, since had health issues (mental retardation). Subsequently, he disassembled and sold his shack and lived a wanderer’s life, with no permanent place of residence. Karapetyan was engaged in cattle breeding for remuneration, he avoided contact, he was incommunicative, and his mental limitations were apparent.